This app adds support for the Smart Home devices made by Xiaomi Smart Home Devices working on the Zigbee protocol. Note: Other devices are work in progress, at different stages of implementation: see readme of GitHub on actual status. Installation note: the Xiaomi (non Aqara) range of devices need to be manually kept awake during in the inclusion; keep pressing the button once every 5 seconds until inclusion has finshed. Please report issues at the issues section on Github otherwise in the above mentioned topic. How is the support for Aqara Water sensor going? 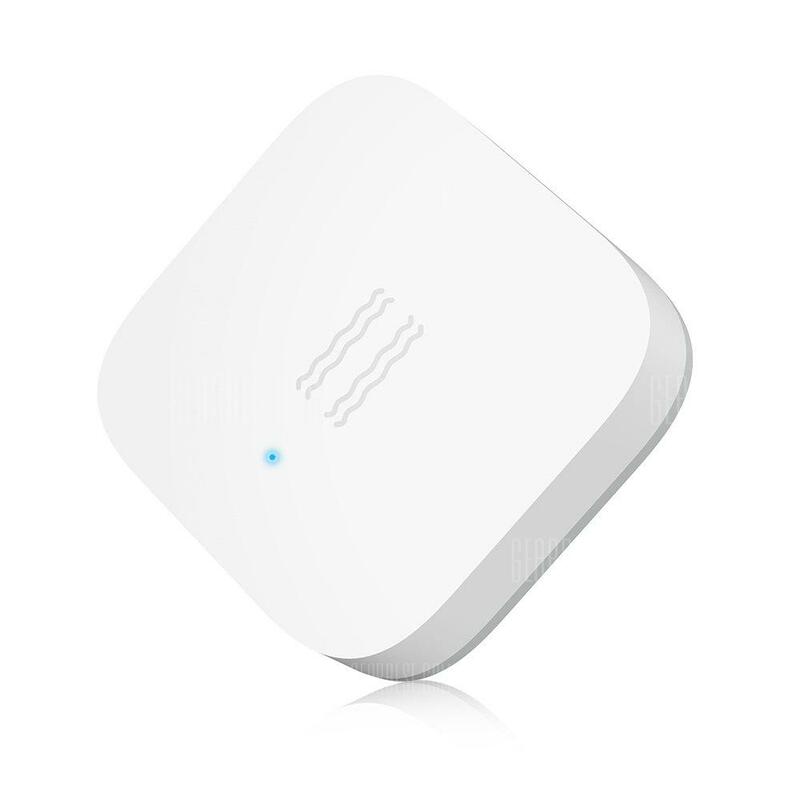 Support for the Aqara water sensor, as well as the smoke and natural gas sensor, is depending on the implementation of the Zigbee IAS (Intruder Alarm System zone) cluster within Homey. Question about the curtain controller - does this allow part opening etc, and if so how does that represent in homey? Yes, opening and closing is presented as a slider with percentage in Homey. It can be set to any percentage. Similar to a dimmer. @vaderag The curtain controller can be operated with a sider providing a setpoint similar to the dim level of a dimmer (0% = closed, 100% = opened). In addition, you can give an open / close / hold command. Is there any difference between the ‘original’ with zigbee vs 2018? Some suppliers ship in 50 cm chunks, others in sizes up to 250 cm. Less connections make the rail smoother to operate (and less noisy). The parcel is more visible in the post so you might get taxed. The other way is a visible connector one the outside of the rail, with also a ‘spring’ metal connector on the inside of the rail. As I am planning the conseal the rail I have no problem with the exterior connector. The rails can be wall and ceiling mounted. I myself have no experience with wall mounting them, but brackets can be ordered (albeit a bit expensive imho). This can be done on either side of the rail. As a consequence the status open/closed will be mirrored. A future App update might/will support a mirroring feature. I would like to integrate the: Xiaomi Universal IR Remote Controller https://www.gearbest.com/smart-home/pp_229556.html . Is there any possibility to support this device? I would like to automatically start devices like tv and dolby units where there is no possibility of receiving IR signals through homey directly. Thanks for that info - really useful! Out of interest, did the different connectors just come from different suppliers or is there some way to choose? Also, how do you plan to conceal them?! Unfortunately I had no influence on the type of connectors. I ordered my first rail, and it came ‘as is’. Later I ordered via the shop that offers longer length rails, and those (two separate orders) arrived with other connectors and ceiling mounts. I bet stuff can be found and ordered separately. I ordered extra curtain ‘runners’ separately from another shop. My rails will (eventually…) be hiding in a coving (koof in Dutch). any possibility to support this device? I would like to automatically start devices like tv and dolby units where there is no possibility of receiving IR signals through homey directly. @Kevin_Vijver this app focusses on the Zigbee based Xiaomi / Aqara devices. The Xiaomi Universal IR Remote Controller is a WiFi based device. Only $10.99，buy Aqara Smart Motion Sensor International Edition at GearBest Store with free shipping.